Congratulations, Aly! The whole town is so proud of your achievements! With her three medals, Aly Raisman is Needham’s most successful Olympic athlete. 1928 (Amsterdam) – Olive Hasenfus was chosen as a reserve member of the woman’s athletics (track and field team) for the 100m dash. She did not compete. 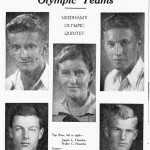 1936 (Berlin) – Needham sent five athletes to the 1936 Games. Brothers Walter and Joseph Hasenfus were on the Canoe team. Joseph competed in the 1000m Canadian Singles, placing 5th in the finals. Joseph and Walter paired for the 10,000m Canadian Doubles, again placing 5th. Olive Hasenfus, sister of Walter and Joseph was a sprinter, and was chosen as a reserve for the women’s 4×100 relay. The American team took the Gold Medal in this event, but the reserves were not needed and Olive did not run. Although Olive did not get to compete in the Olympics, she was a nationally ranked runner from 1928 (when she was 15 years old) to 1941. She was a U.S. national medalist 10 times, with four gold medals, four silver, and two bronze. She returned to Needham High as their first girls’ track coach and in 1972 led the team to the State Championship. She has been inducted into the Massachusetts State Track Coaches Association twice – as a coach and as an athlete. Brothers Robert and Roger Cutler rowed as members of the men’s Coxed Four team. The team advanced to semi-finals but did not qualify for finals. The Cutlers were sons of Leslie Cutler, Needham’s first elected female politician – Selectwoman, State Representative, and State Senator. 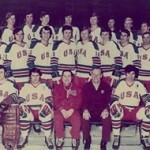 1972 (Sapporo) – Needham High hockey standout Robbie Ftorek won a Silver Medal with the men’s hockey team at the Winter Olympics. Ftorek went on to a career in the NHL as a player with the Detroit Red Wings, the Quebec Nordiques, and the New York Rangers, and later as a coach. He is currently a coach of the Erie Otters (Ontario League). He was inducted into the US Hockey Hall of Fame in 1991. 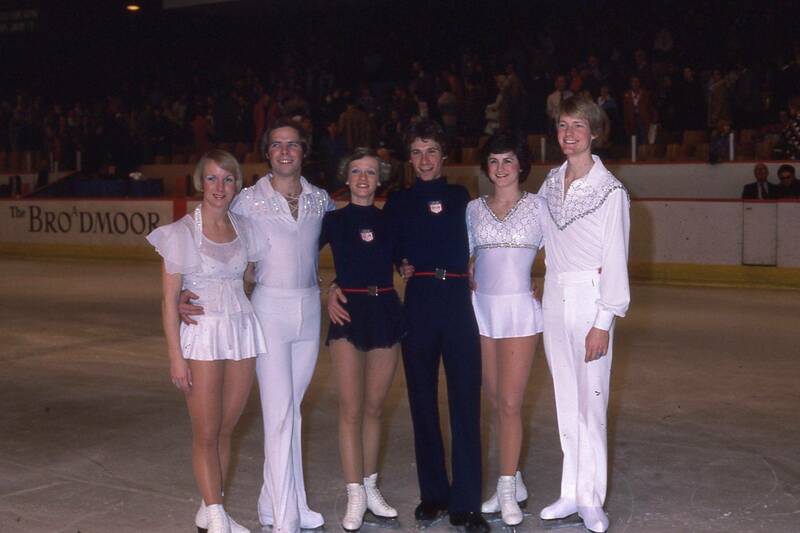 1976 (Innsbruck) – Susie Kelley and her partner (now husband) Andrew Stroukoff (of Trenton, NJ) placed 17th in Ice Dancing. 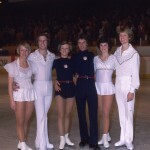 Kelley and Stroukoff went on to win Silver and Bronze medals in the US Championships in 1976, 1977, and 1978, and are currently coaching. 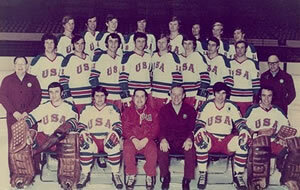 1984 (Sarajevo) – David Jensen was a member of the USA Ice Hockey team, which finished 7th overall. Drafted by the NHL just before the Olympics, he played professional hockey for several years in the NHL (Hartford Whalers, Washington Capitals) and in the minor leagues. 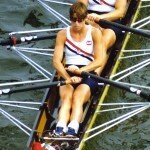 1988 (Seoul) – Seth Bauer rowed in the Men’s Coxed Eight, which won a Bronze Medal, behind West Germany and the Soviet Union. Seth currently lives in Needham, and works for a nonprofit that promotes energy efficiency. 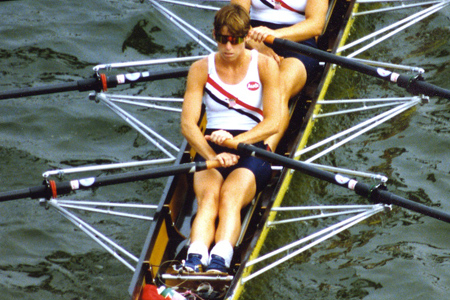 1992 (Barcelona) – Mary Mazzio and Cindy Ryder (of Cambridge) competed in women’s rowing (double sculls), placing 11th. She went on to become an award-winning documentary film maker. 2000 Paralympics (Sydney) – Pam Fernandes and her partner, Al Whaley, won the first Gold medal ever won by a tandem for the United States in Paralympic history. Their Gold medal performance also established a new world and Paralympic record in the 1 kilometer time trial. They also won a Silver medal in the match sprints. Fernandes had broken her foot just ten days before her first event, but competed (and won) anyway. In recognition of her determination and courage, the USOC named Fernandes and Whaley as recipients of the USOC Olympic Spirit Award, presented in Salt Lake City in February 2001. Pam competed for more than eight consecutive years, winning three Paralympic National Championship medals, and three medals at the European Track Cycling Championships, in addition to her Gold. Gymnast Richard Aronson did not compete in the Olympics, but was a judge in the Olympic gymnastics trials in 1964, 1968, and 1972. Hockey player Roger McMullin was chosen for the US Hockey team at the 1964 (Innsbruck) Winter Olympics, but broke his hand during practice and had to be replaced. 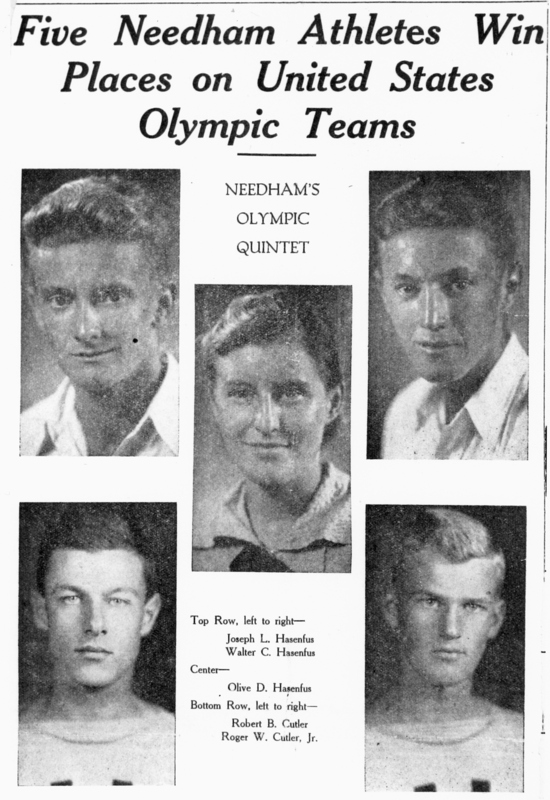 Needham sent five athletes to the 1936 Games.